Wardcraft is known for building green, energy efficient homes usually with handsome wood siding. The rustic look of some of their standard models would look perfect in a remote location surrounded trees, but with hundreds of standard plans to choose from, they also offer more traditional looking homes that you might think to find in a more populous setting. All Wardcraft homes are available with high efficiency water fixtures and high efficiency heating and cooling systems. As part of their progress toward sustainable building, they offer numerous optional building features to help reduce or eliminate the impact the construction of your home has on the environment. 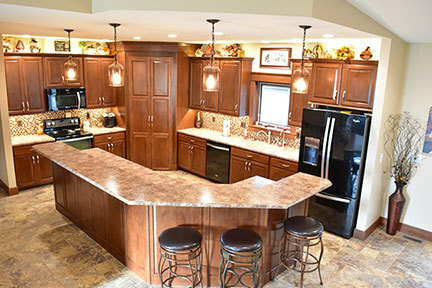 While most modular manufacturers offer only a few chalet style or wood paneled homes, Wardcraft makes them their bread and butter. Wardcraft has embraced the style and feel of these homes and offers wood paneling or accents on most of their standard homes as well. The custom homes they build are extremely impressive examples of comfortable living in a rustic style. If you’re looking to save some money, Wardcraft offers a value option that lets you select a standard floorplan and receive a per square foot discount if you don’t make any customizations or changes. Wardcrafts motto is the Better Way to Build and they take great pride in showing customers what is behind the walls of each of their energy efficient homes. Every 2-3 years they revamp their one of a kind 116 page catalog. Basically homeowners can circle all of their choices for just about everything in their home, including the kitchen sink, in one easy place vs searching through dozens of vendors catalogs and bring it to their Authorized Wardcraft home builder for pricing. Wardcraft has over 100 plans on-line and as customers build homes, they develop B and C versions of plans for a different layout. They even code everything according to price, so you know what may be beyond your price range. Wardcraft has 32 standard cabinets and what sets them apart are the over 700 optional ones you can choose from in a variety of wood species and glazes. They have over 100 plans on-line and welcome their customers to make modifications to make it “their” home. 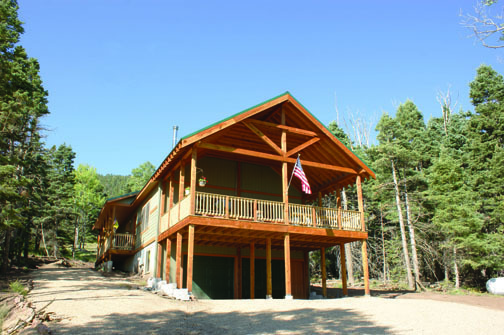 Colorado – Wardcraft Homes is a builder of new custom modular homes in the following counties of Colorado: Adams, Arapahoe, Broomfield, Cheyenne, Denver, Douglas, Elbert, Jefferson, Kiowa, Kit Carson, Lincoln, Logan, Morgan, Phillips, Sedgwick, Washington, Weld and Yuma. Wardcraft also builds in Calhan and sections east of I-25 in Larmier county around Loveland and Ft Collins. Wyoming – All counties except Teton county. 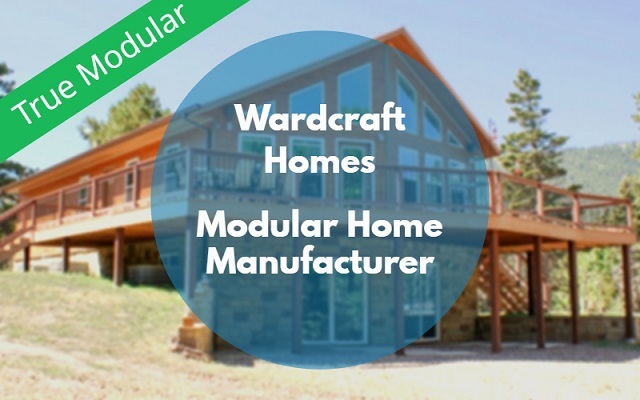 Oklahoma – Wardcraft Homes is a builder of new custom modular homes in the following counties of Oklahoma: Alfalfa, Garfield, Grant, Harper, Kay, parts of King Fisher, Major, Noble, Woodward and Woods. 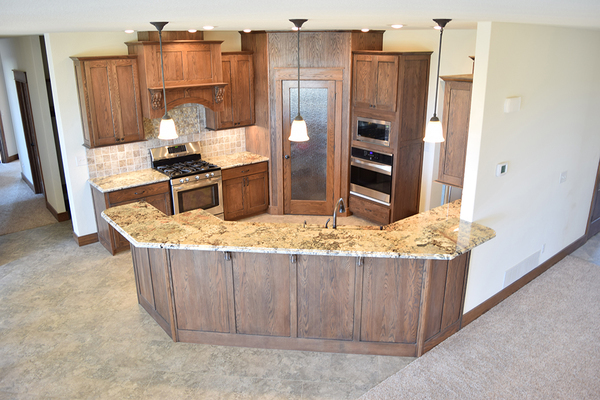 Missouri – Wardcraft Homes is a builder of new custom modular homes in the following counties in Missouri: Andrew, Atchison, Bates, Buchanan, Caldwell, Cass, Clay, Clinton, DeKalb, Gentry, Henry, Holt, Jackson, Johnson, Lafayette, Nodaway, Platte, Ray, and Worth.